Stunning Remodelled Beach Home Sunset Views and Heated Pool! RIGHT ON THE BEACH! 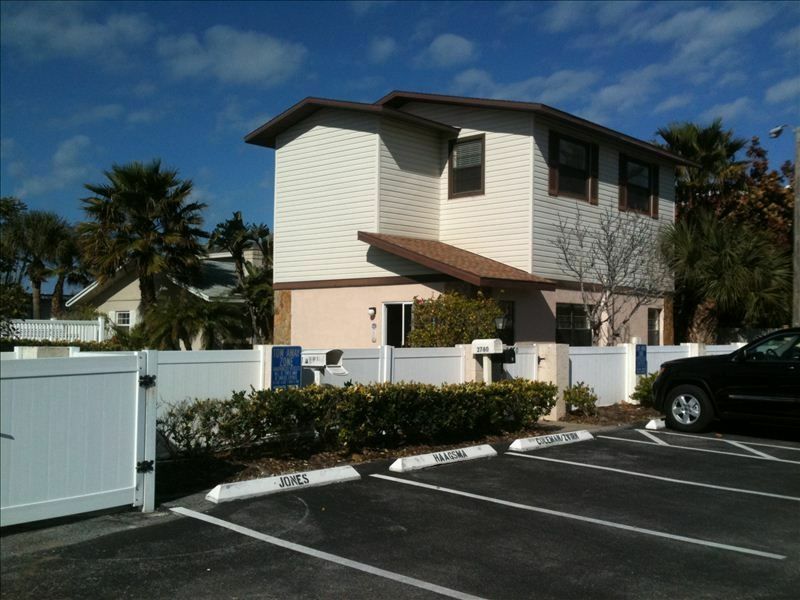 SEASIDE COTTAGE - 5 minutes south of Clearwater Beach and minutes to St. Petes Beach. 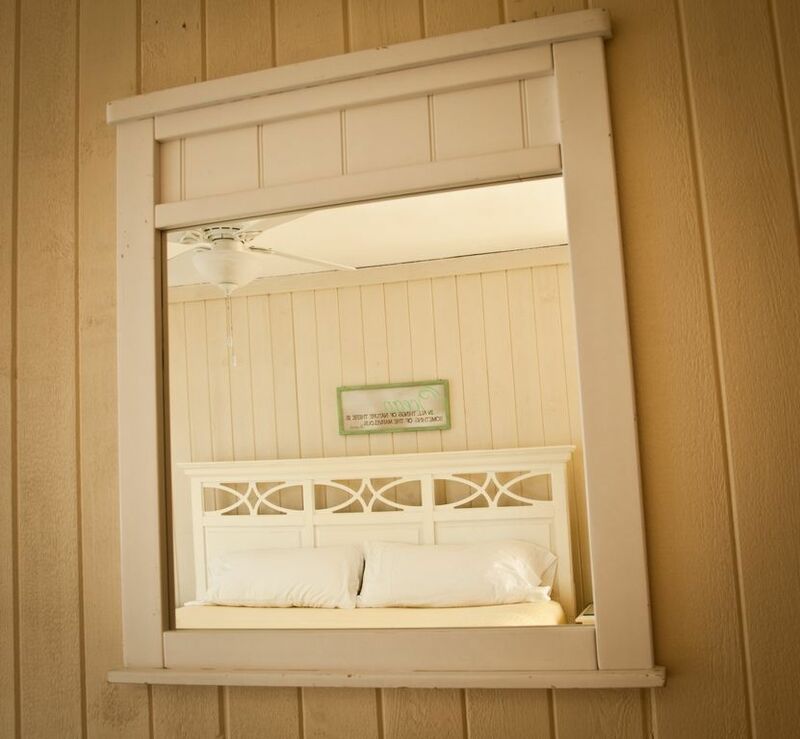 Come and relax in our beautifully redecorated and totally refurbished 3 Bedroom, 2 Bath, 2 story gulf front beach house that sleeps 8. 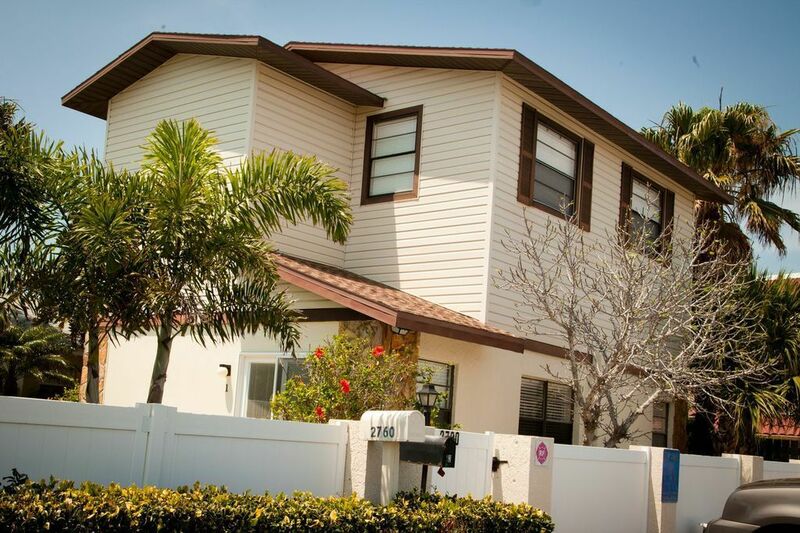 The house is well equipped with newer mattresses and linens and a newly renovated kitchen with stainless steel appliances and new bathroom with double vanity and glass shower doors. 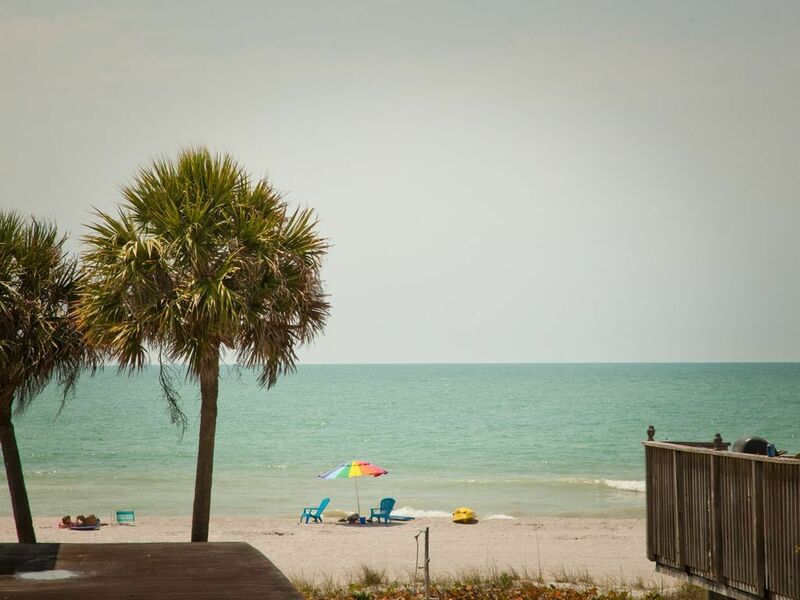 Our property is right on the beach, not across the street and it's the type of place where you can set up on the beach in the morning and go back and forth between the pool, home, washroom or come back and forth for drinks and snacks all day. It's about 50 steps from the home to the sand! With our property, you have the luxury of your own home, not a highrise/elevator, which is located right on the beach with a private pool! It's rare to find a stand alone home on the beach with a pool, especially if you really don't want to stay in a highrise condo. 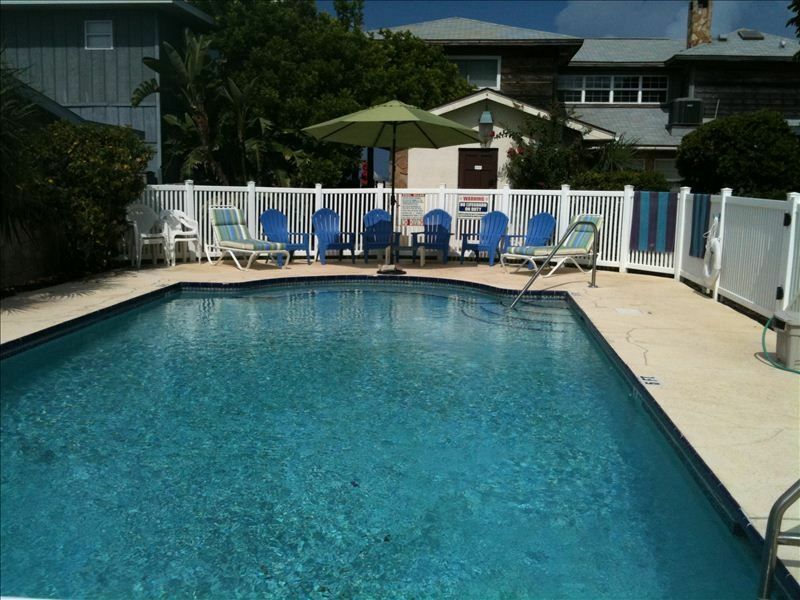 Our property has 5 units in total that share the pool, so it is very quiet and not over crowded. The building right on the sand houses 3 of the other owners on our property, then just behind that is a small single storey cottage and our 2 storey home is just behind that. When you exit our patio door there is patio, lawn and the pool is right there. The beach is just 50 steps around the front building to hit the sand. We love to set up on the beach in the morning and then go back and forth all day between the beach, pool and the home. The balcony upstairs provides extraordinary views of the beach and the pool. 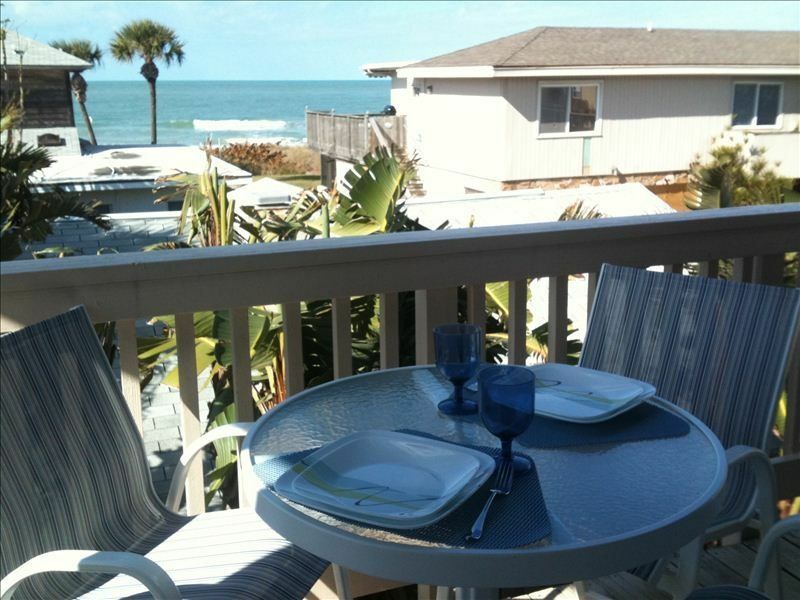 Enjoy morning coffee, meals, or cocktails on the patio furniture on the balcony while you enjoy the awesome views! The pool is shared with only 4 other homes and is a pleasure to swim in a heated pool. 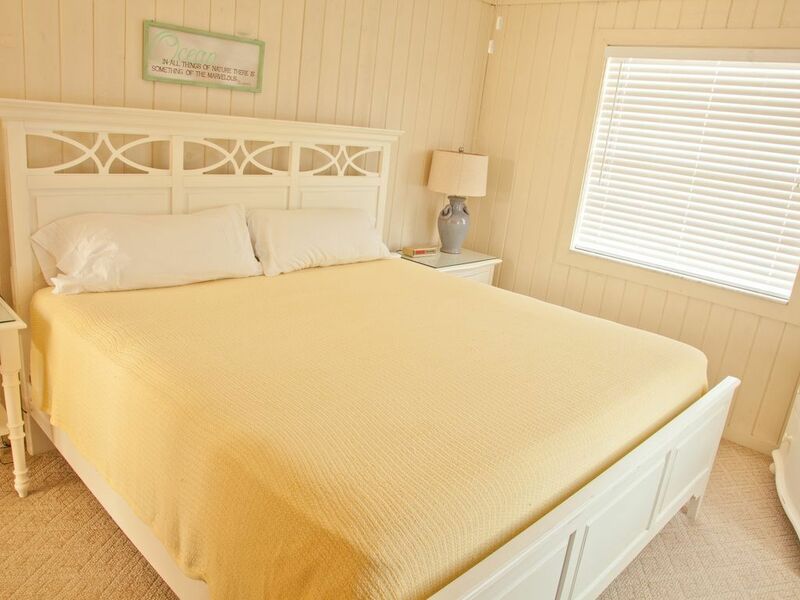 Rest peacefully at the end of the day in the 2nd floor master bedroom with all new furnishings including a King size bed with a view of the beach! 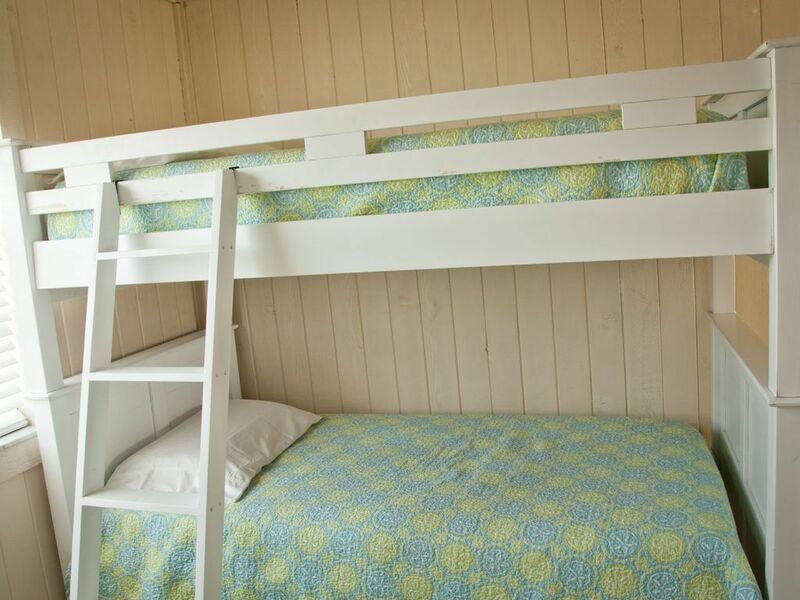 The 2nd bedroom upstairs has two twin beds and a bunk bed so this room sleeps 4. 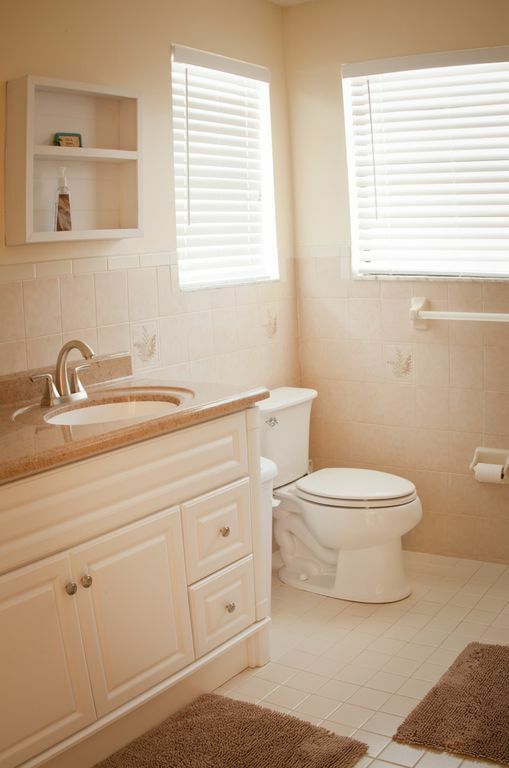 The upstairs bathroom has a double vanity and with a large glass door shower (no tub). 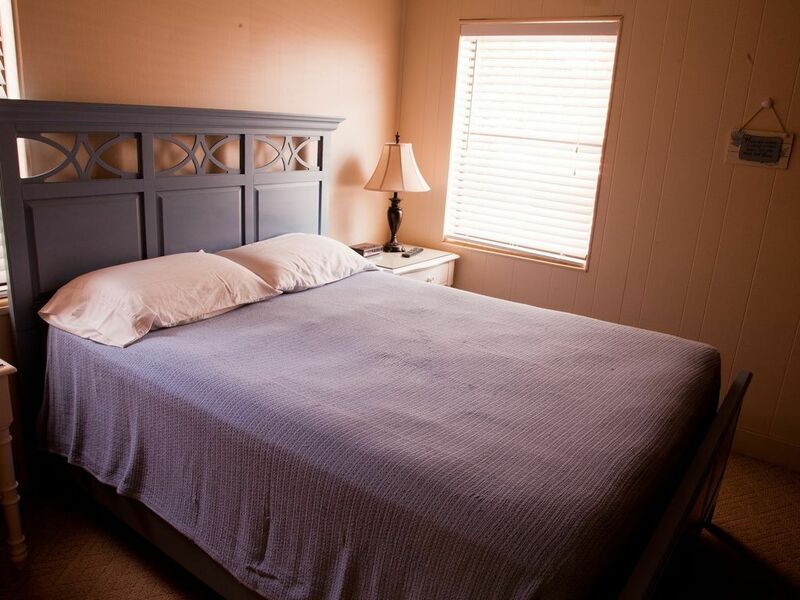 The downstairs bedroom has a Queen size bed, new furniture, mattress, linens and built in cupboards. There is also a 3 pc. 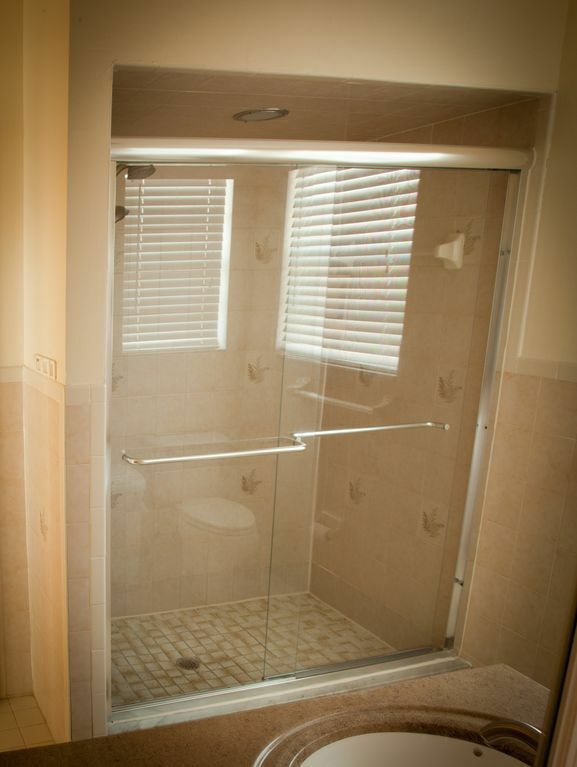 bathroom downstairs with a shower stall with glass door that serves the downstairs bedroom. 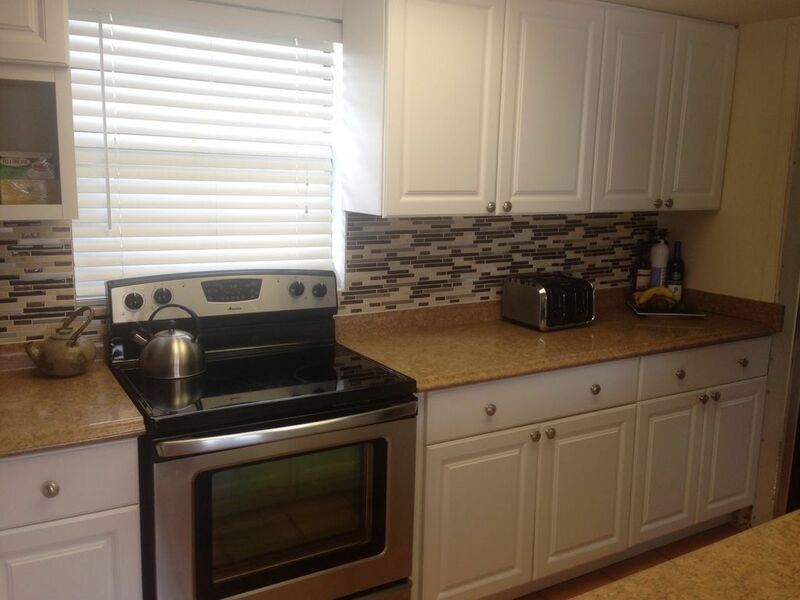 The newer kitchen is fully equipped with brand new glasses, dishes, cutlery, many small appliances and all furnishings. 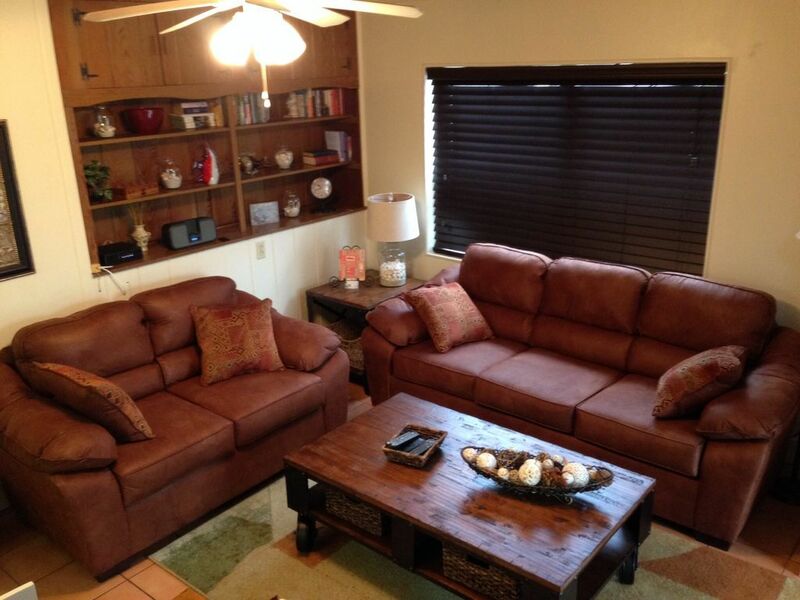 The living and dining room boasts brand new furniture. The dining area easily seats 8 at the new counter height dining table. Let the stresses of everyday life slip away as you take in the sights, sounds and smells of the Gulf of Mexico: breathe in the salt air, listen to the waves, and watch the sun fade into the horizon. We also have a large binder in the home filled with all the info you need on surrounding area, including menus, schedules, tourist info etc. 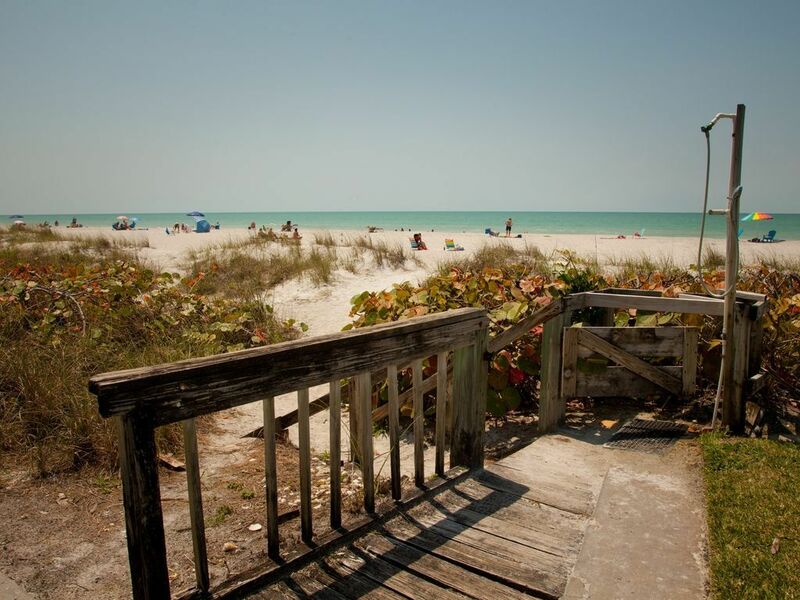 Come and discover the wonderful secret of Belleair Beach - a quiet, uncrowded beach community of mostly residential units with no high rise complexes. 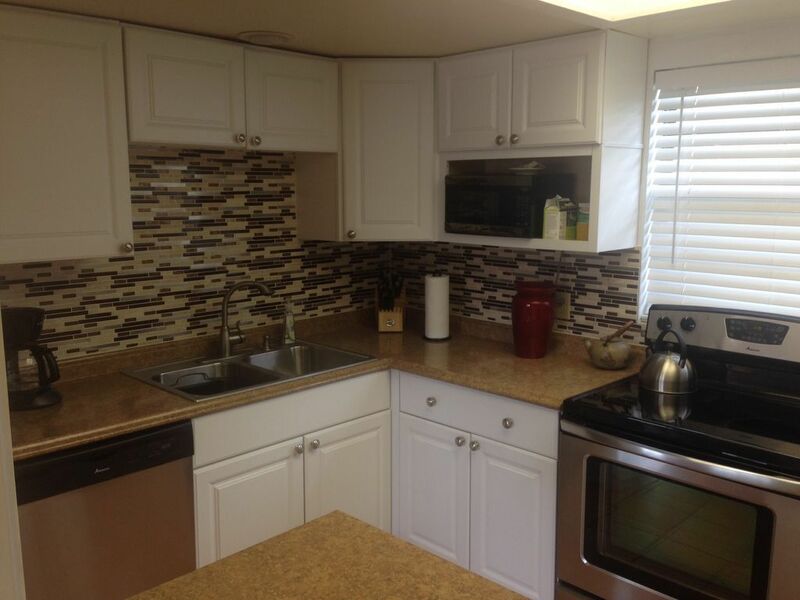 Private yet only minutes away from Clearwater Beach and Pier 60 and Marina, and only 10 miles to St. Petes Beach. You are also only six miles from Caladesi Island, voted one of the best beaches in the U.S. There is also a one bedroom, two bath rental unit located next to our cottage should you need additional space, check it out at VRBO 335635. 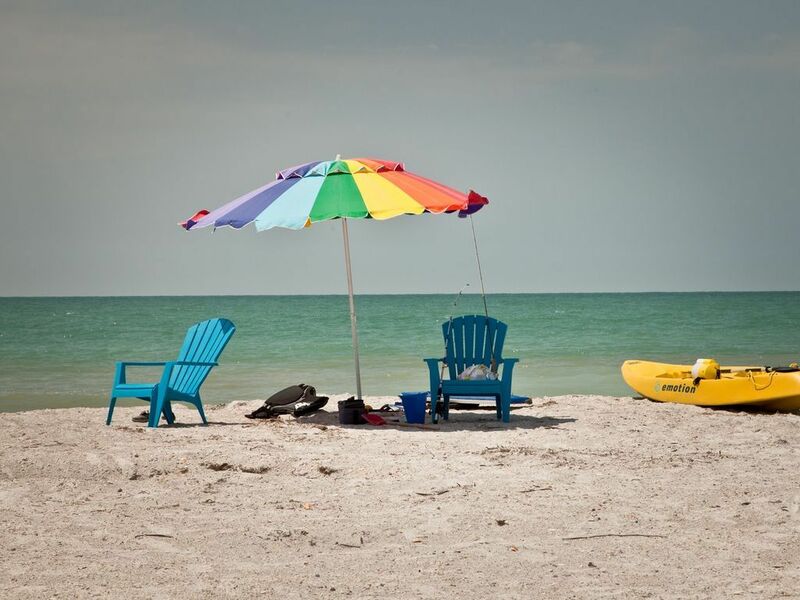 Come and discover the wonderful secret of Belleair Beach - a private, beautiful, upscale, beach community with no commercial, high rises and mostly multi million dollar mansions! 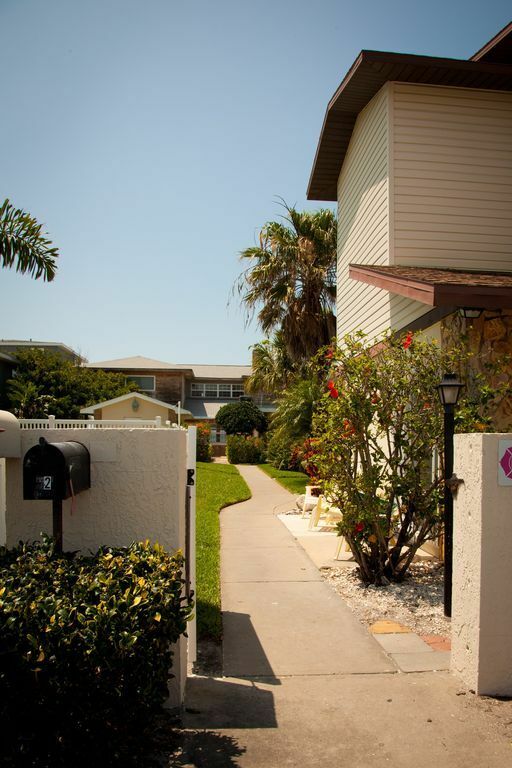 Private yet only 5 minutes away from Clearwater Beach and Pier 60 and only 20 miles to St. Petes Beach with trolleys running between St. Petes Beach and Clearwater every day! 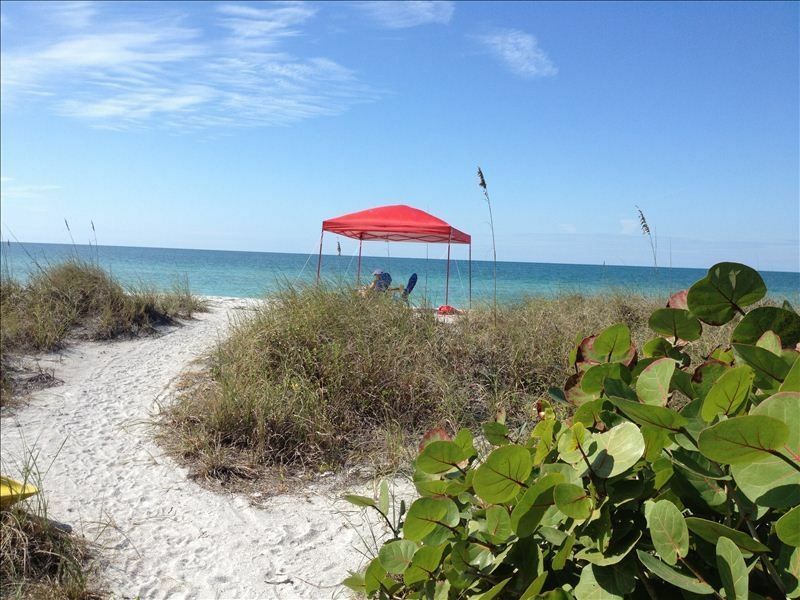 You are also only 10 miles from Caladesi Island, voted one of the best beaches in the U.S. 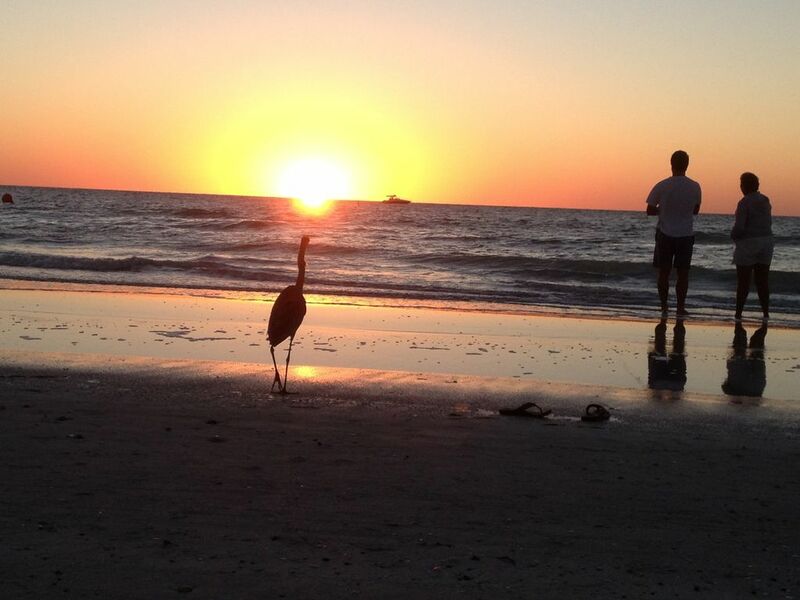 Check out Clearwater's Pier 60 Link and all the great activities! Pantry Items : Be sure to check before you get your groceries for basics like salt/pepper, spices, oils, sugar, ketchup, mustard etc. may be available on the home. Dining ; High top Dining Table that expands to seat 8 and also 2 seater each up kitchen counter. Toys : Beach toys available, boogie boards, skim boards etc. The assortment varies. Lawn / Garden : The second patio area is also a great sunny sheltered patio on poolside of home with lawn. Play Croquet on our great lawn beside the pool and just outside the patio door. Croquet in pool room! I was happily surprised how this house actually met the description. It felt so homey, was great to relax and comfortably acomodate 7 people. 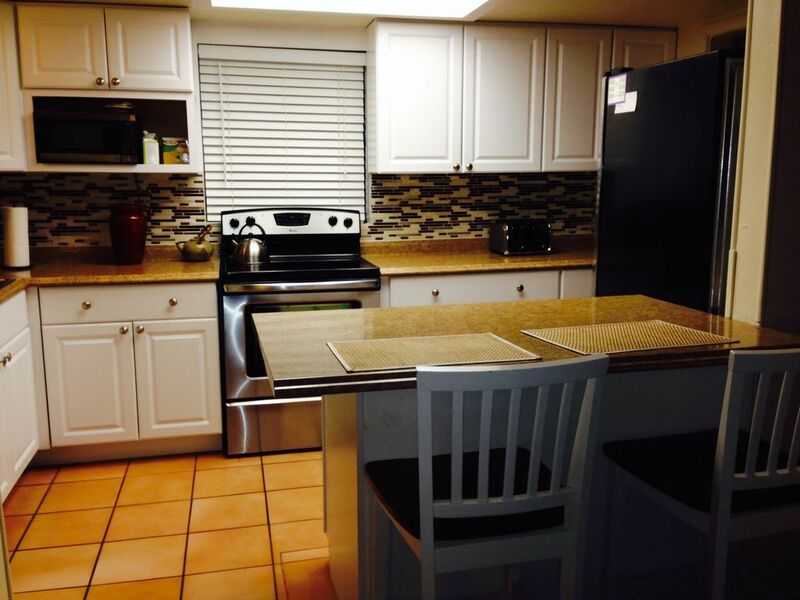 Very nice and clean place, great area, just steps to the beach. Loved having a pool right outside also. The beach was beautiful, clean and not with a lot of people. The owner was very responsive to all our needs, very easy to communicate with. We had a wonderful experience, would stay again! Thank you. Great Family House! Great Family House! In the title, I repeat myself twice because this is the second year in a row that we have stayed at this location. My wife is already wanting to plan a trip here next year. We love the location... we love the "private" swimming pool... we love the 20 steps to beach... we love the view from the balcony... we love the cleanliness... we love the thoughtfulness of having coloring books & markers for the kids... we love the grill... we love the new beach chairs and beach umbrella. In short, great family house. Thank you. This beach house was a great place to spend our week in Bellaire Beach. It is a standalone home in a small complex that shares a pool. There were never more than a couple people at the pool at any one time, and our daughter quickly made friends with some of the other kids there. There was a giant box of beach toys provided, and the beach itself was only a few yards away from the house. We tend to cook a lot when we go on vacation, and the kitchen in this house was one of the most well-equipped we have ever found. The knives were even sharp (a rarity in rental houses)! The house was very clean and well stocked, and the owner left us some snacks and wine to get our vacation started. The only downside to this rental is that the bedrooms all face the road, and the upstairs bedrooms in particular had a ton of traffic noise. We've lived in cities before (so we're used to traffic), but the older single-pane windows didn't do anything to muffle the noise. If you're a light sleeper, this might pose a problem. Nancy, the owner, was very quick to answer questions that we had, and we really appreciated being able to stay here on our vacation. My husband and I spent a week here with our daughter and 8 month old granddaughter. We came for sun and relaxation and also some BlueJays spring training games! This property fit the bill perfectly and our host was fantastic!! The pictures and description are exactly as described. The property is on the beach side of the road but behind a couple of other homes, however there is a second floor balcony with a view of the ocean as in the pictures, and the beach is just steps away. The pool is right outside the door and nicely heated so our granddaughter could enjoy it! There was a baby floaty toy for her to use in the pool as well. There was a baby monitor, booster seat, and pack and play for the baby. We purchased a baby bath as there is no bathtub, and Nancy reimbursed us for it! We also were not able to find beach chairs in the pool house and Nancy provided her own personal ones until the other ones could be found. She also provided her own personal sunshade tent so the baby could enjoy the beach. She was very helpful and accommodating. 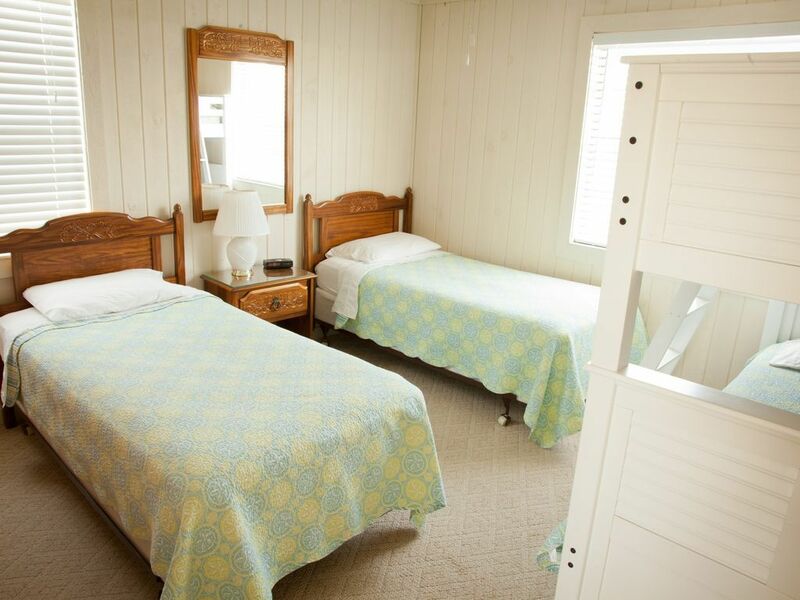 The house is very well equipped and beds very comfortable. We slept like logs! The neighbourhood is residential and grocery stores and other shopping are a short drive away. Just make sure you have a good list prepared so you don't have to run out for last minute things as there is nothing very close by. We enjoyed a few of the local restaurants. Guppy's and Crabby Bill's for great fish and seafood, Maggie Mae's for a great breakfast and very family friendly atmosphere, and fantastic pizza from Slyce (free delivery). Dunedin stadium for the BlueJays games was a 1/2 hour away. We had dinner in Dunedin at a great Mexican restaurant - Casa Tina. Food was fantastic, portions very generous and it was also very family friendly. The beach was just beautiful, and of course facing west, so every night was a beautiful sunset. All the people in the complex meet at the beach about 1/2 hour before sunset with drink in hand and enjoy the spectacle which is different each night. We did not catch the "green flash" though. Maybe next time! We enjoyed many walks along the beach and of course found some seashells to take home as souvenirs. There were many birds and waterfowl to watch. We enjoyed watching the pelicans diving for food in the ocean. We wish we could have stayed another week or longer! There is lots to do and see, and we didn't begin to cover it. Thank you for a great stay Nancy! The house, 3 stars. The location In relation to the beach, 4 stars. The house was decent, but the fridge and dishwasher could use some maintenance on the inner workings. We enjoyed our time and were elated with the convenience of coming and going to the beach simply by walking down the pathway. Belleair Beach was very quiet and not occupied by many people. This was a joy and a relief for our family. 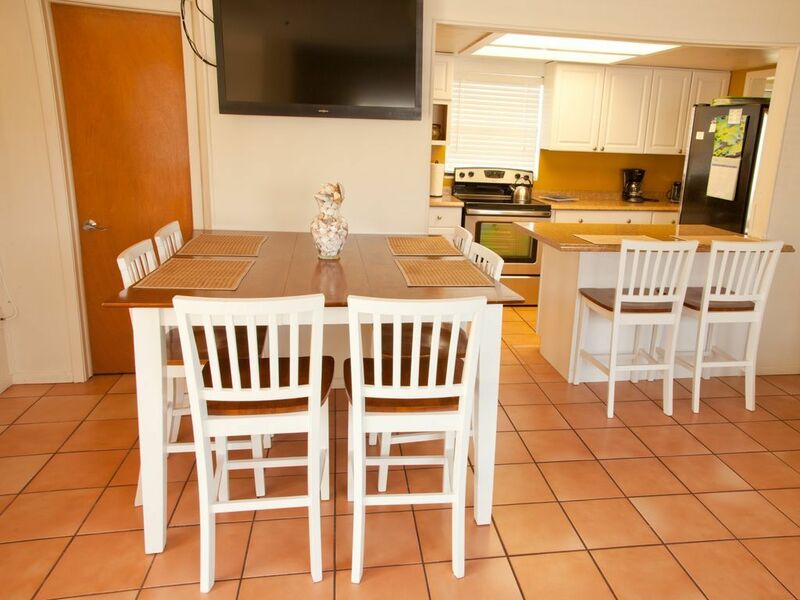 This property made our vacation even more enjoyable with its proximity to the beach. House was perfect location. Size great for our group of six! Well maintained and loved the pool. Enjoyed everything. If we ever return to Belleaire this is where we will stay again. We are a family of 4 and this was a GREAT vacation rental. We loved it. When we arrived it was clean, as described & pictured, and even had some snacks laid out for us. The location was great... the pool was great... the beach was great... I could go on and on. I would recommend this house to anyone traveling to the area and my wife is already wanting me to start planning a trip for next summer. Really enjoyed our much needed vacation, but in the week we were there the pool was never cleaned, is that the norm? We have just returned form our family vacation to Beach home. We had an amazing time. The home was one of our favourites in all times. There was my husband and myself, 4 young adults and 1 1/2 year old granddaughter and it was the best. I was a bit concerned that we would not have enough space but with having the walk our off living room and pool and beach being so close we were never on top of each other. Sleeping was very comfortable and bathrooms on each floor was a bonus. The upstairs deck over looking ocean was the best. Either for coffee in the morning, happy hour or sunset, it was used everyday. Enjoyed all convenient restaurants , pizza at Westshore Pizza, dinner at Guppy"s on the Beach and 2 fun nights at The Original Crabby Bills. Will certainly be returning and recommending to family and friends. Thanks Nancy. P.s. Loved the water and ice dispenser on the fridge..iced coffees on the beach at 3 p.m.
Nancy Schappert 9054019318 Show Phone No.